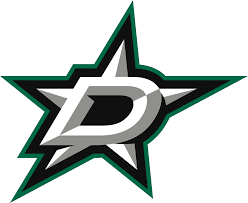 The Dallas Stars are the only National Hockey League team from the great state of Texas. The Stars first joined the league in 1967 as the Minnesota North Stars but moved to Dallas in 1993. Thus far, the team has only lifted the Stanley Cup once in 1999 (and w as nearly able to retain it the following year). However, the team hasn’t had a good run at the championship in almost ten years though. With a new coach in the form of Jim Montgomery, the Stars may be looking to have a good go at it this year. Perhaps, they may even be worth placing a bet on? Below we have a look at the Dallas Stars current standings, upcoming fixtures and the odds you’ll face betting on these games. Would you like to place a bet on the Dallas Stars? Have a look at the sportsbooks we have listed down below here. They are sure to give you some good odds on any NHL game you’d like to bet on. The Stars haven’t had such a bad run within the NHL since moving to Dallas. In the last 25 years or since moving, there has been one Stanley Cup win, two Conference Championship wins and two Division Championships. There were also able to win two President’s Trophy titles in the years leading up to the Stanley Cup win. That stated, the team’s run hasn’t been all that great in the last few years. Other than a Division Championship win in 2016, the side really hasn’t seen all that much silverware recently. In fact, it has been a bit of struggle for the team to even qualify for the playoffs over the last decade. The squad does have two star offensive players though in the form of Jamie Benn and Tyler Seguin, but many bookies feel that a moderately strong offensive line-up is not enough to propel the team into the latter stages of the league. Overall, we wouldn’t recommend placing a future bet on the Dallas Stars any time soon. Individual match-up may prove to be slightly more fruitful for bettors though.